The heart makes commitments, the will makes choices, and behavior is where it all comes out. Sometimes what�s going on in the heart is a mystery, but behavior is always on display. If you watch children and listen to what they say, you�ll learn more about what�s going on deep inside. Don�t be fooled, however, by children who pretend to have their hearts in the right place. Sometimes behavior can mislead others. All children display both good and bad behavior. Sometimes kids do well at school or at their friends� homes. Parents get amazing compliments about how respectful, kind, and cooperative these kids are. But at home, disrespect, unkindness, and resistance dominate the same children�s interactions. The inconsistency will eventually come together. Either, children will grow more gracious at home, or they�ll become more and more bold in their contempt for others. It all depends on what�s going on in their hearts. 1. It�s easy to fall into the trap of concentrating on behavior and missing the heart. After all, you can�t see the heart, and working on it is more difficult. In a busy schedule, with all of the other stresses of life, many parents settle for outward conformity. Unfortunately, if not addressed, the heart problems grow and fester until they burst out in ways that shock parents. 2. Target the heart. When children act like they�re obeying but then grumble, complain, and do a half-hearted job, they�re establishing a mask on the outside. This is dangerous � but the saddest thing is to watch parents excuse it with comments such as �Well, at least he�s obeying� or �He�s got a good heart.� In reality, this kind of behavior indicates a decaying heart, with rebellion growing past dangerous levels. Be careful not to teach your children to clean up their behavior only to cover a decaying heart. Sometimes children will do what you ask just to get you off their backs or acquire some reward, but it�s clear their heart isn�t in it. This shows you must focus more on the heart. When you see behavior problems, recognize that something deeper is going on. Target your discipline for the heart, because when the heart changes, kids make lasting adjustments in their lives. 3. Do the right thing. Sometimes people just don�t feel like doing what�s right. Does that excuse their behavior? After all, they don�t want to become hypocrites, and since they don�t feel like doing what�s right, why not continue to do the wrong thing until their hearts change? Of course the faulty reasoning here is obvious. Even if you don�t feel like it, you need to do the right thing. Many of the chores your children do are likely a struggle for them. In those moments, pray for heart change, talk about deeper issues, but continue to hold the line. Children who learn to work hard are eventually surprised by the amount of work they can do, but it takes time. Heart work can seem elusive when you�re faced with the urgency of daily life. But a heart approach to parenting means that at some points in our day or week, we take the time necessary to address the hearts of our children. Even on the run, many of the comments you make to your child reflect either a heart or a behavior approach to parenting. 4. Seeing into the heart. When children are young, parents can get a pretty clear picture into the heart by watching behavior. Preschoolers and young elementary-age kids tend to be transparent. Their selfishness, pride, or dishonesty can be glaringly obvious. As children get older, however, they may cover up problems and hold more in their hearts, be more secretive, and make it harder to know what� s really going on inside. With these kids, we need to watch more closely for inconsistencies in behavior that may indicate a problem. Even if the behavior isn�t a concern, parents need to be diligent, looking for subtle cues. 5. Two ways to get into your child�s heart. (1) Listening and (2) Looking at what they treasure. Both the things your child talks about and the way those words are said become a gauge, giving you cues for where to target your heart work. �But my kids won�t talk,� some parents reply. It�s surprising how many times we ask kids why they don�t talk to their parents and hear the same answer: �Because they don�t listen to me.� It�s true some children confuse listening with agreeing. But, some parents really don�t listen to their children, whether they agree or not. They�re irritated by the illogic, different viewpoints, or na�ve opinions of their kids. It�s in these moments, however, that parents can learn a lot about a child�s heart. Children may be wrong, but they�re usually following some kind of internal logic. 6. Listening to open the heart. As you listen to your kids talk, try to discern what they believe that may be distracting them from understanding the truth. Don�t feel like you have to point it out on the spot. Look for creative ways to help them understand truth more fully. The greatest enemy of listening is wanting to tell your own story. Be careful not to give your opinions too quickly. Kids shut down their hearts faster than a turtle can pull his head into his shell when they know sticking their necks out means having to listen to another lecture. When prodded, the heart often contracts quickly. A harsh word, a sarcastic remark, or an angry jab may be the poke that hardens a child�s heart. As parents begin to understand the heart, they realize how closed-off their child has become. Don�t be discouraged. Although it takes time, you can still regain openness with your son or daughter. Much of the healing starts with listening. An accepting, safe, listening ear often opens the heart in ways that nothing else can. As you listen to your child, you�ll learn about dreams, goals, and commitments. And, sometimes what you learn can show you what response is appropriate. 7. Influencing the heart�s desire. Often the activities our children choose indicate what they treasure. Because the heart and behavior are closely linked, parents can look for things their kids can do that will encourage healthy heart change. Desires, hopes, dreams, and wishes start in the heart and then come out in a child�s conversation. Children invest in the things that are in their hearts. Part of our job as parents is to inspire our children with a bigger vision for life, giving them something to set their hearts on. If the things your child values aren�t helpful, look for ways to limit them, and then guide your children into constructive activities, hobbies, and relationships. If you have to limit certain activities, look for positive ones to replace those you�re taking away. By adjusting what your children do, you can influence what they enjoy and eventually what they treasure. Sometimes simply providing different choices guides your child into more healthy heart situations. Other children, however, seem to have a bent towards treasuring the wrong things. Or, they want to spend hours in activities that aren�t bad in themselves, but you know don�t contribute to their maturity and growth. You may have to use a combination of approaches, including setting down some firm limits to guide your child in the right direction. 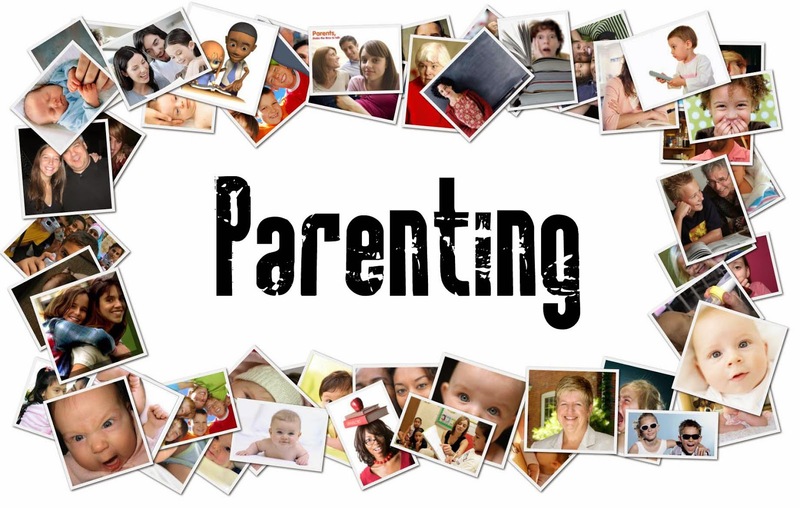 That�s part of the hard work of parenting, but it�s not optional. 8. The heart or behavior? �So what do I do when I see problems in my kids? Do I focus on the behavior or the heart issue?� The answer is both. When you see a behavior problem, ask, �What�s the heart issue?� Then develop a strategy that addresses both the heart issue and the behavior. The solution needs to acknowledge the behavior problem and work toward different actions. At the same time, the deeper heart issues need to be challenged. By taking a two-pronged approach, you can bring about lasting change while teaching appropriate behavior. By working on both behavior and the heart, you�ll achieve maximum change in your children and contribute to their success both internally and externally.